American Credit & Collection Association Yahoo Group: Michelle Dunn's American Credit & Collections is an association for professionals in credit and collections, including business owners, credit managers, industry experts, people starting a collection agency, and suppliers of collection software. Michelle Dunn's personal website can be found at www.michelledunn.com. Michelle is the nation's top expert on credit and debt collection. She has seven published books on the subject and 20 years' experience in the industry. Her award winning book, now in its third edition, Starting a Collection Agency, How to Make Money Collecting Money, is a consistent best-seller in its category. How to make money collecting money by Michelle A. Dunn – Winner of the New York Book Festival and Writer’s Digest Award. The only award-winning comprehensive book on how to start and manage a collection service. Everything from state laws to what kind of equipment you will need. Its 23 chapters include legal requirements, licenses and regulations, where to find clients, fair debt collection practices, Fair Credit Reporting Act, skip tracing, buying debt, bad checks, and software. Click here to purchase this book from amazon.com. If you are starting a collection agency and are new to the collection business, an excellent resource is the book How to Start a Home-Based Collection Agency by Robert H. Bills. In addition to general advice about starting a new business, it contains extensive information for building a successful debt-collection business, including sample demand letters, marketing tips, and discussions of applicable state and federal laws. Extending, denying, and collecting debts are crucial areas that can make or break a small business. Yet many businesses send letters that either alienate customers or fail to convince the debtor to pay. With this volume, you can have at your fingertips the perfect letter for any credit or collection problem, already written for you, along with advice on how to compose your own. Credit and Collection: Letters Ready to Go! Bad debt and poor receivables management are the most common reasons small businesses fail. Some business people make the mistake of thinking they have achieved success when getting an order. But, as many have discovered to their disappointment, that's only half the equation. The other half is getting the money in a timely manner. Credit and Collection Letters Ready to Go! makes letter writing faster, easier, more effective, and more productive. This comprehensive financial resource and relationship-building tool presents dozens of powerful letters you can customize to keep collection problems under control without alienating customers. In addition, it includes several sample forms and documents you can use to create sound credit policies and pick the best credit risks. All the forms and procedures that you will need for your collection business, with CD-ROM. Click here to purchase this book from amazon.com. What a tremendous book! Very inspirational and helpful with collections with tips and pointers and such positive energy in what is sometimes a negative field. Highly recommended to anyone in collections in ANY business! negotiate win-win solutions with debtors, and more. In addition, the book supplies practical strategies for avoiding bad debts in the first place--such as taking good credit applications, verifying the information, and ensuring that the first payment is made on time. American Credit & Collection Association - credit-and-collections.com: Michelle Dunn's American Credit and Collections Association was founded in 1998 to provide resources and help to professionals in the credit & debt collection industry, including credit managers, people starting a collection agency, and business owners. Credit and Collections has thousands of members that join to improve the exchange of credit and debt collection information, to learn more about the industry, to develop better credit practices and methods. ACA International: ACA International, formerly known as the American Collectors Association, Inc., is an association of about 5,300 credit and collection professionals. It has been a leading source for credit and collection information for the past 62 years. Collection Advisor Magazine: Collection Advisor communicates technology issues, current trends and information, and dynamic industry-related stories that will make your own management decisions easier. Collections & Credit Risk Magazine: The Credit and Collections World web site is an online resource for commercial and consumer credit professionals. Collection Agency: Collection Agency Services offers you information on collections and the highest rated debt collection agencies. Commercial Law League of America: Commercial Law League of America is North America's oldest creditors' rights organization and has nearly 5,000 members in the United States as well as in dozens of countries abroad. This home page has a number of links to other collection-related sites. Facts for Consumers from Federal Trade Commission on Fair Debt Collection: Answers to commonly asked questions to help consumers understand their rights under the federal Fair Debt Collection Practices Act. 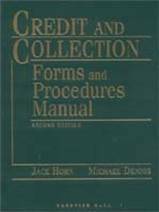 Federal Fair Debt Collection Practices Act: The complete text of the federal law governing collections. Federal Consumer Credit Protection statutes: Complete text of 15 U.S.C. 41 governing consumer credit protection, including Fair Debt Collection Practices Act. InsideARM: This web site provides online news and a searchable directory of products and services for the debt collection industry. National List of Attorneys: Established over 100 years ago, The National List of Attorneys remains the world's preeminent debt collection attorney referral service. The National List of Attorneys is a complimentary resource for consumer and commercial debt collection services. NARCA -- The National Association of Retail Collection Attorneys: Includes NARCA's entire membership of hundreds of collection attorneys nationwide. If you need a collection attorney anywhere in the country, this site will help you find one. State Collection Laws Summary: A listing for each state of the legal rates of interest, length of statutes of limitation, bad check laws civil penalties, general garnishment exemptions, and collection agency bond and license fees. © Copyright 1995 - 2019 Totality Software, Inc. All rights reserved. Totality ® is a registered trademark licensed to Totality Software, Inc.